These are a new design and have flown off my stall! 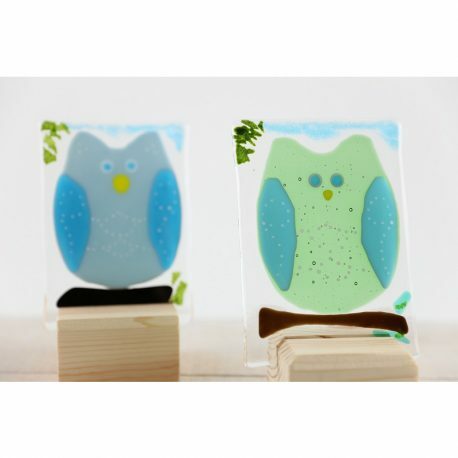 Two colours to choose from – Dusky Blue and Emerald Green. 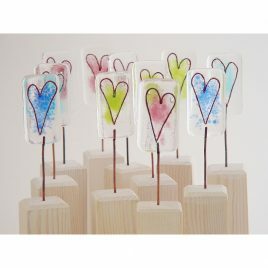 Each one has a copper wire heart sandwiched between two layers of clear glass and finished with subtle shades of coloured glass,then mounted on white washed wood.